Give the Gift of Christian Education! 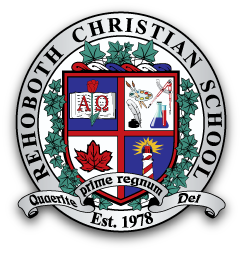 Rehoboth Christian School receives no government funding. We are supported solely through tuition, fundraising activities and gifts from members, alumni, businesses, and friends. Our mission of equipping students with a life of faith and a quality education would not be possible without it. Your support is deeply appreciated! To make a gift to our General Fund, you may donate Online, mail a Cheque, or set-up automatic withdrawals through our Planned Giving option. Note that regular tuition payments can also be made this way. 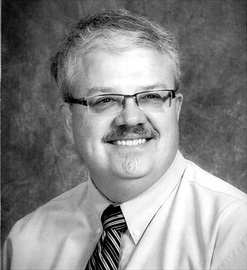 Andy can also be contacted if you wish to provide Bequests, Endowments or other types of gifts. Tax receipts will be provided for all donations. Thank you for supporting RCS! We very much appreciate your support of volunteer time, money and prayers. Are you a business owner who would like to support RCS? Consider becoming a valued partner in our Grow With Us (GWU) program. Businesses who join GWU donate a designate percentage/portion of a sale transacted within the RCS community to the RCS General Fund. The RCS supporting community has incentive to shop with our GWU partners who in turn support RCS. To partner with us, please contact Andy Lobbezoo at treasurer@rehoboth.on.ca or 519-647-9704. An endowment fund is one set-up by RCS where withdrawals from invested capital are used for our operations. For more information please contact Andy Lobbezoo at treasurer@rehoboth.on.ca or 519-647-9704. The Short Term Missions (STM) fund supports a short-term mission trip for qualified students in senior grades. The purpose of STM is to provide one to two weeks of exposure and working experience on a mission field. This valuable experience gives students an appreciation for the blessings we enjoy and an appreciation for mission work. It may also stimulate the call to pursue a life of service to God in the mission field. The STM Fund has been established to help subsidize qualified students who do not have the funds for a STM trip. Students can apply for this fund for a maximum 50% subsidy for expenses (provide funds are available). The student must raise the remaining cost for the trip. STM receives funding through Student Council fund raising events, businesses, and individuals and is managed by the RCS Financial Controller. To make a gift to our STM Fund, you may donate Online or mail a Cheque. the student must show proof of full time enrollment and successful completion of each year to receive subsequent annual scholarships. To make a gift to The Jack Westerink Scholarship Fund, you may donate Online, mail a Cheque, or set-up automatic withdrawals through our Planned Giving option.